Shelves, to me, are the least efficient use of space. 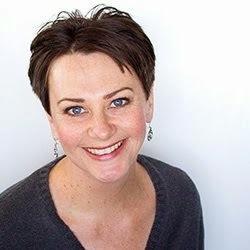 They either require further products in the form of baskets or bins (essentially turning the shelves into drawers) or else items get lost at the back of the shelves, or you're having to deal with piles of items, such as folded clothes. And we all know what happens when you want the T-shirt or sweater at the bottom of the pile - an avalanche. I hang everything - or as much as I possibly can. The only things I store in my chest of drawers in my bedroom are underwear and hosiery, socks and pyjamas. And even they could be stored in hanging space on those shelving units that hang from the rod or rail. 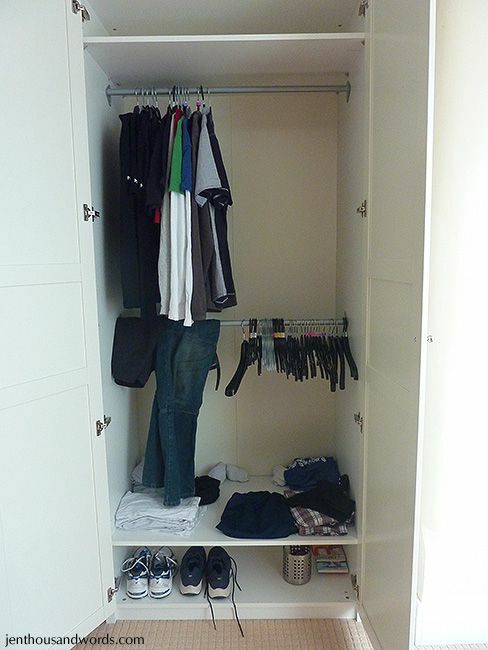 The rest of my clothes go on hangers and onto a hanging rail - jeans, skirts, T-shirts, sweaters, everything. 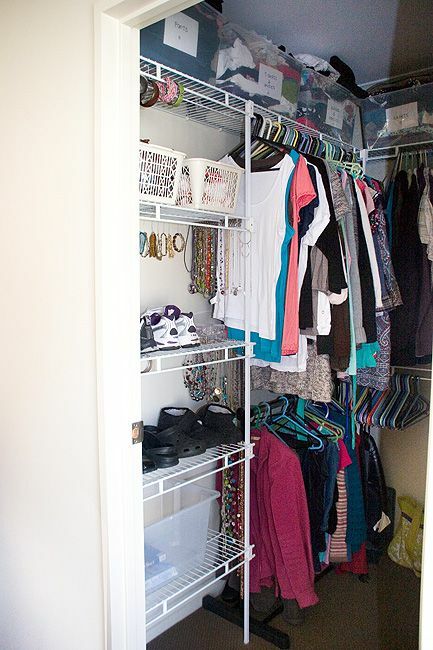 I find it so much easier to keep my closet neat and tidy when everything is hung up. You just swipe the hanger to the section you want and pull out a single item. The same ease applies when putting things away. No teetering piles! 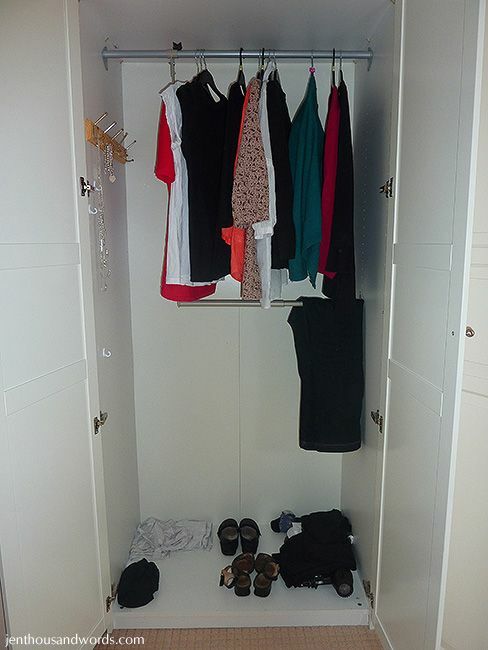 These photos show the Ikea wardrobes that were in our bedroom in England - they were taken after our stuff had been shipped to New Zealand, which is why they were so empty, but they show the double rails that we installed. This one had a space at the end for longer dresses. This one had two regular rods. 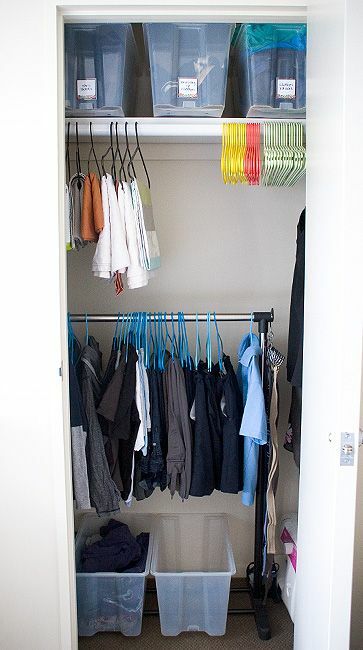 We are currently renting so we can't go around changing the closets, but it's easy to add a second hanging rail with portable clothing racks. 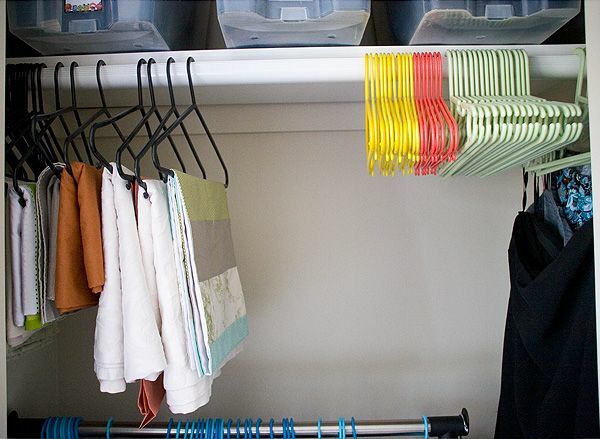 Here are pictures of the closets in our previous home, featuring portable hanging rails. 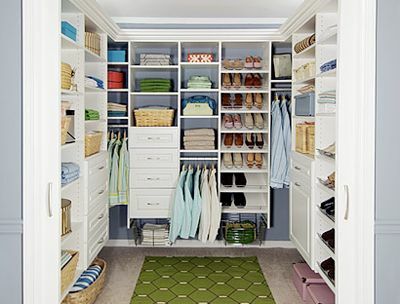 The advantage is that they seldom fill the entire width of the closet, leaving room to hang longer items such as dresses. 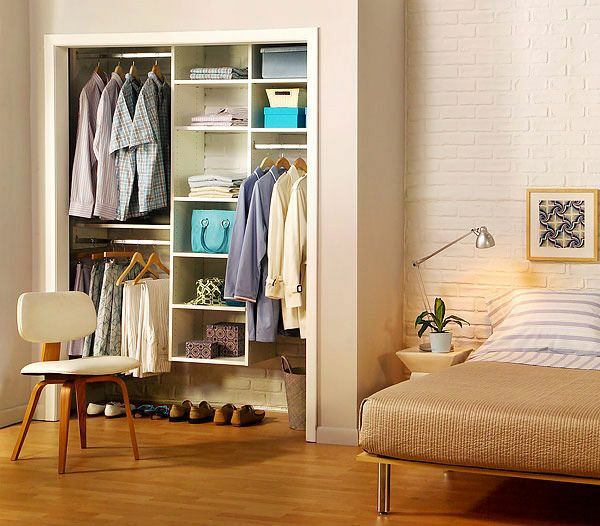 If you prefer, you could put shoe shelves or portable plastic drawers beneath the hung clothing instead of a second hanging rail. 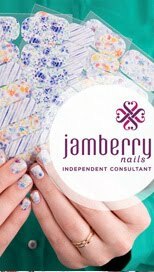 You could hang fabric in your craft room. 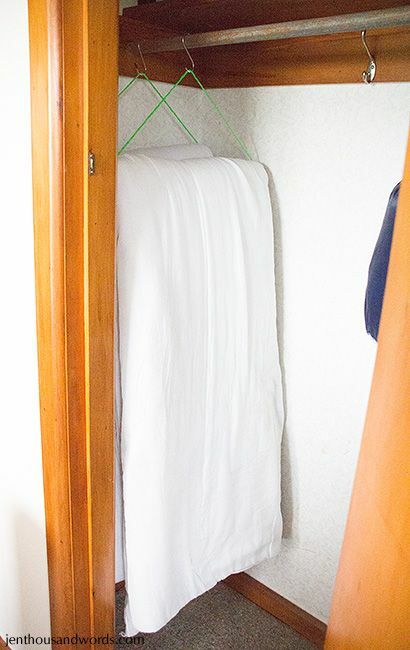 You could hang towels in your linen closet if you added a rail. 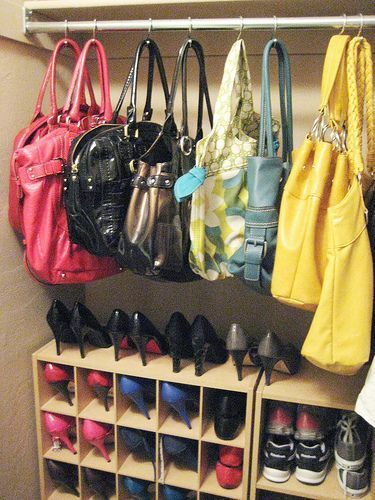 If you really do need shelves, you can add hanging shelves - even outside of the closet. 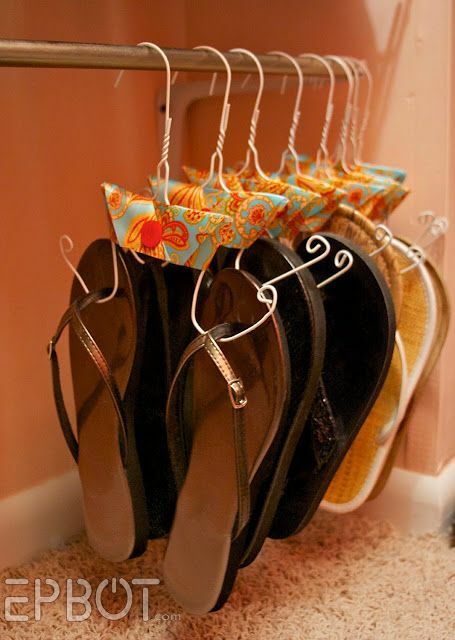 You can even hang boots and flip-flops from the rails in your closet. 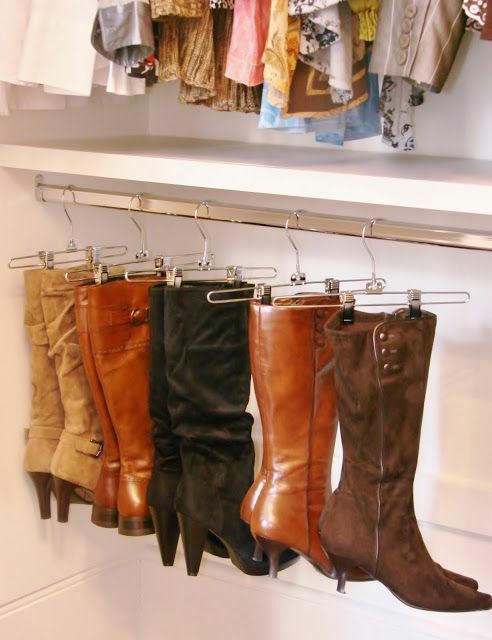 These boots are hung with skirt hangers. 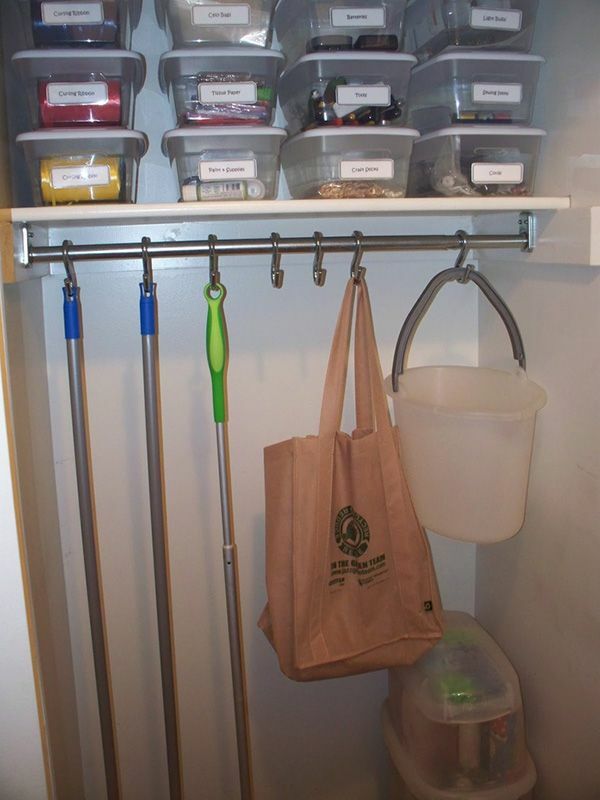 Adding S-hooks to a regular hanging rod makes it even more versatile. What do you think? 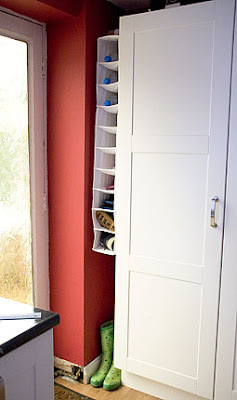 Are you likely to remove any shelves and install hanging rods? 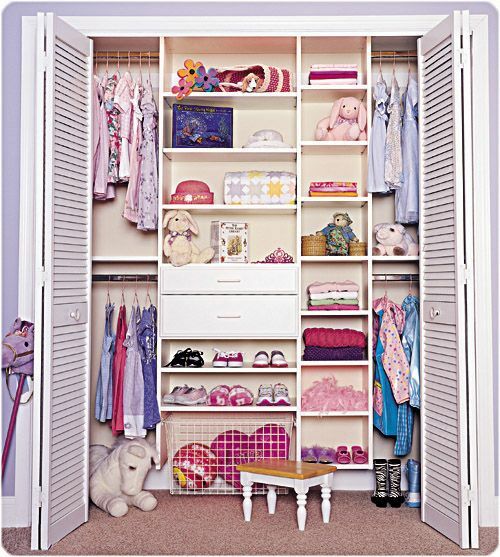 Or install second hanging rods in closets that already have one?